I don't really think the head matches the rest of it but the rest of it is quite good. First of all I'm not really feeling the Bionicle reference wih the name. Sorry. 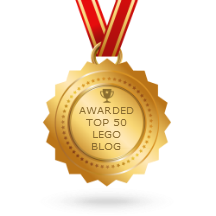 Partly due to my frustration with the people on the Lego.com forums insisting that there will be a Bionicle/HF crossover; obviously, extremely unlikely. Anyway, on to the MOC! Aside from the mask, this is really pretty cool! I like the use of the lime spiny-looking pieces on the shoulders. I actually like the gun, and it looks like it did take a lot of time and effort to create. I myself attempted to make a hero (not necessarily a Surge 3.0 MOC) using either Gavla or Vamprah's helmets, I'm not sure, but I thought it looked too... well, villainous to be a hero. However, this MOC is better than my attempt by far. I am eager forversion 2, if and when you make it! Great, but you are right, the helmet doesn't look too good. Awesome gun though, can I use it in a MOC? did you try the toa nuva gahli, mask of course insteade of fox he would have been a cow. still looks great,better then mine! did you try berix's helmet? I actually do like everything on this MoC except for the head; not so much the design itself (which is wonderful), but the color and shape. It throws off the rest of the MoC and combined with the trans-green nameplate in such close proximity, it creates a rather jarring color imbalance. Be that as it may, I enjoy the spikes on his back, the armor placement, and the weapon. I bet it takes a lot of effort but another custom helmet like on the Breez 3.0 moc would be the best option. Otherwise nice design. This is just me, but I think you should make him with Berix's helmet and make his a water/fish hero. Something like that. With Piranha armor. i still say that he should have been a shark. bionicle fans would like the aquatic theme, and people would probably like to see another one of your custom helmets (including me). I heard there might be a surge 3.0 and rocka2.0 in 2012 for special thing or something it may not be real but i heard about. You could also try th kinna mask if you wanted him like a shark. Hey Jang, i'm a huge fan of you and your MOCS. I'm trying to start out, but i don't have all of the Heros from 2.0 and 3.0. So I was wondering if you would have any tips for a newbie like me. I have an idea; a blue Bulk 3.0 helmet would look great on this MOC! It would totally fit as a fox. Just a suggestion! JANG!! SURGE AND BREEZE ARE GONNA BE BACK!! HERO FACTORY 4.0! Chronos, Lord of Time 17th comment, I built a Surge 3.0 MOC on Hero Recon Team with Bulk 3.0's mask! I made his power a fox too! why is there no surge 3.0 version 2?!?! For all of those people out there for jang to make surge fish power, no offense, but he's electric themed. Not water themed. 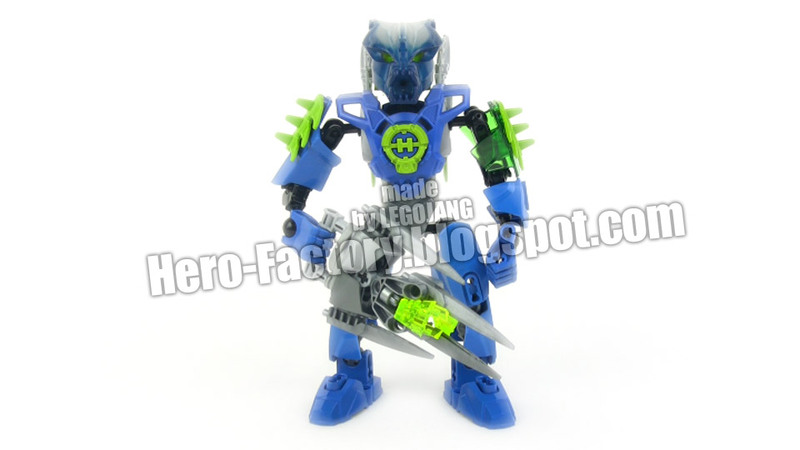 The "blue = water" things was only in Bionicle. I made a Surge 3.0 MOC, and it had set number 8590 mask. It looks cool except I used the green socket piece for the head so that sucked. However it is cool. So is yours (no offence, but I don't like how the mask looks on that MOC). Anonymous 19th comment, it takes time to build a MOC. And anyway I'd like to see you do better, IF YOU CAN! And what about a Berix mask? The color would work pretty well with the rest of the colour skin. I think the main "fail" (but don't pay too much attention to me), is that the weapon doesn't look like any kind of weapon. I mean... is a gun, or a melee weapon, or some kind of electricity weapon? ... also, is too 'spiky'. You can make his weapon with Surge (4.0) electricity sword, half-shield, whatever... no, do it with a pair of them, and attach them to his fist. Then, using three number 3 armor plates (I don't know how exactly can you connect them to the weapon, but the main MOCcer, or MOCist, here is you! ), and then, put one Bulk 3.0 blade onto each plate, with the top of them looking back (I don't know how to express myself). And then, you can call the weapon... "electric crossbow"? No, wait... "impulse shotgun"? I think the name is cool, I will use it for next creations!